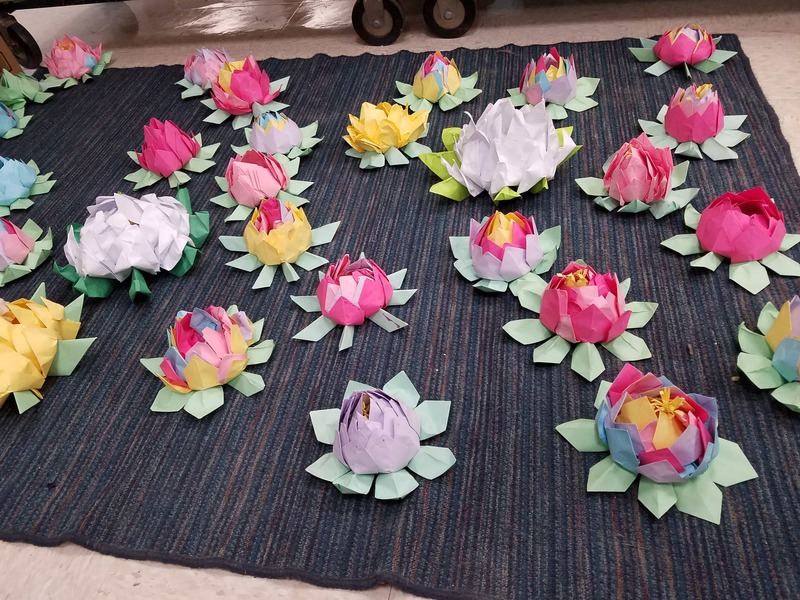 Students fold their 16 papers to create a lotus flower. For the last two months, my class has been doing something special each Friday: Friendly Fridays. These are small activities that build on Social Relationships between classmates. 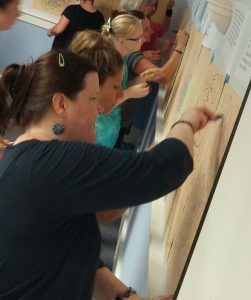 In the past they have made notes and pictures for each other and practiced writing and saying compliments as well. Let’s face it, kids need this practice! 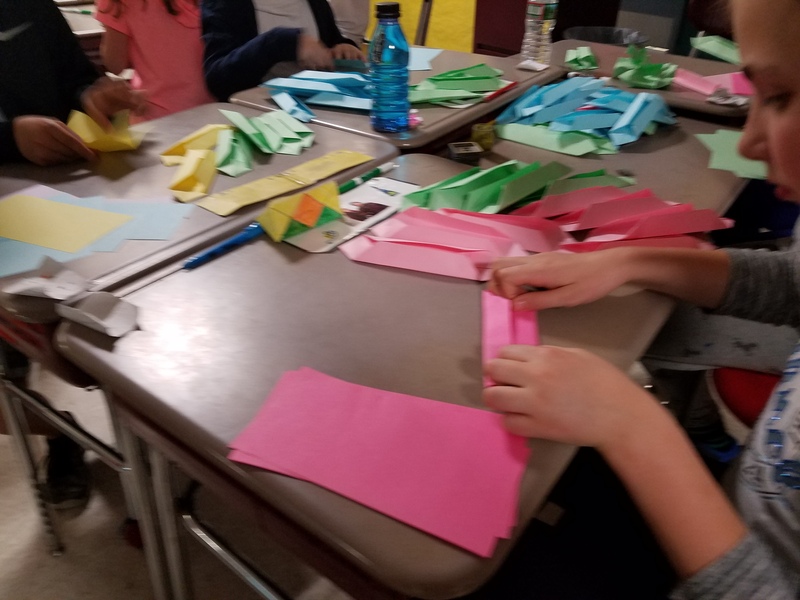 For one Friendly Friday, to practice Self Management and Self Awareness, we made origami lotus flowers; something I learned how to do at last summer’s Teacher Art Retreat. One of my colleagues, Ashley, also learned this skill at the retreat and was excited, but apprehensive about creating the flowers with her 2nd grade class. So, we made another Friendly Friday out of it and took our new skills outside the classroom! 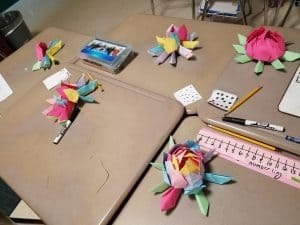 A student writes a special, positive message on the paper before she folds it into her flower. 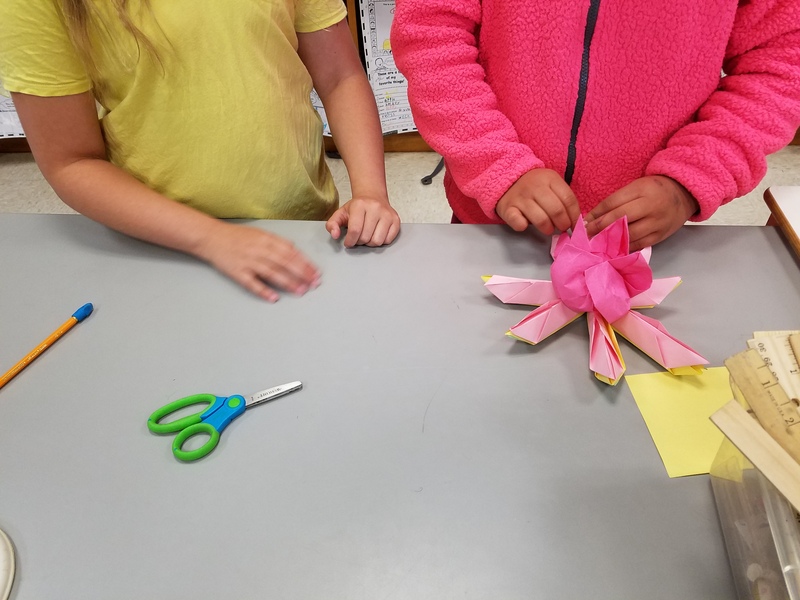 A 4th grade buddy shows a 2nd grade buddy how to create the petals of the lotus flower. The kids loved it! 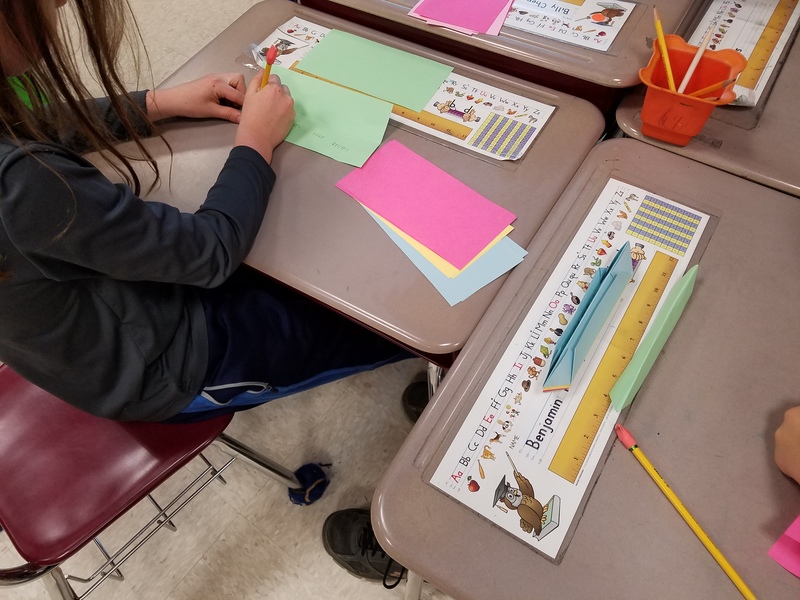 They were able to share something with a younger buddy and practice all the SEL competencies mentioned above along with being Socially Aware. My students keep their flowers on their desks for flower breathing. The end of the creation session, we taught the 2nd graders how to use the lotus flower to “flower breathe.” (Another thing we learned at the retreat.) This is a calming breath where you hold up your flower to your face and breathe in the fragrant smell, hold and then gently blow out your mouth as if you are trying to blow an insect off a petal. My students have had their flowers on their desks for weeks now and every so often, we all take them and do a calming flower breath before a lesson, after a test or when we just need it! Wanna try making one? 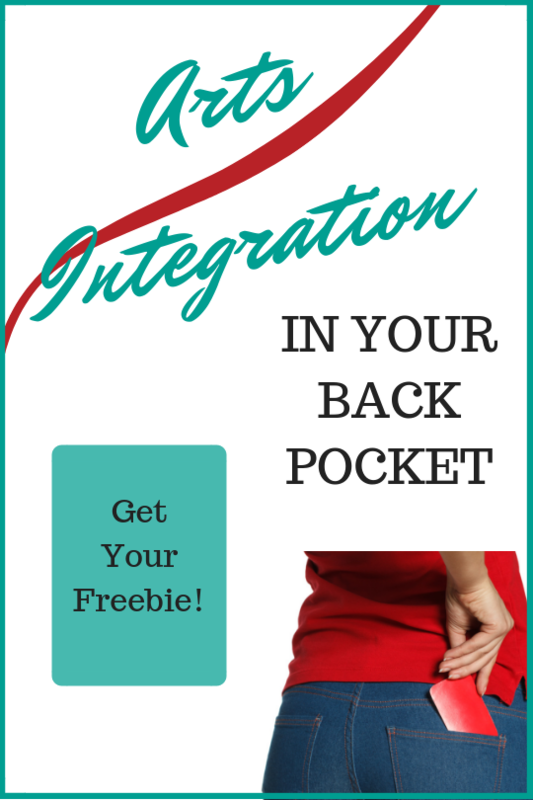 Here’s a great YouTube video to show you how! Why is Music Education in Schools Important?